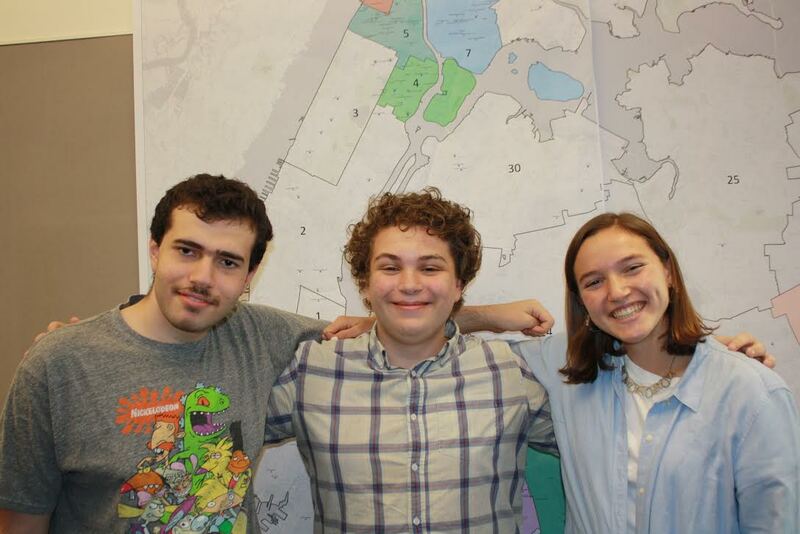 InsideSchools summer interns Hugo Segal, Jacob Goldman and Katie Safter created profiles for District 75 schools. Finding the right school is hard for every New York City parent, but it’s especially hard for parents of children with significant disabilities. Now, InsideSchools has made it a little easier for parents to evaluate more than 50 special schools that cater to children with autism, emotional difficulties, cognitive delays or multiple disabilities. Our new profiles of schools in District 75—the citywide district for special education—answer important questions such as: “Is the school safe?” “Is the principal an effective manager?” and “How many teachers would recommend the school?“ We highlight special programs such as the circus arts at PS 10X and mask making at PS 53K. You can search for your school by name or number, or browse all District 75 schools by typing “District 75” in the search box. We give parents tips on questions to ask and contact information for District 75 officials who might be able to answer those questions. And we offer an overview of the city’s special education services. Please tell us about your experiences! We know this is just a start, and we want to offer more. If you are a parent or a student in District 75, please help us by telling us about your experiences. Each profile page has a “comments” section and we invite you to tell us about your school. What do you like best? What would you like to change? These profiles were put together by three of our summer interns, Katie Safter, a New York City public school graduate who is now a junior at Haverford College, Jacob Goldman, a student at Stuyvesant High School, and Hugo Segal, a student at the Academy for Careers in Television and Film who received services from District 75 until 8th grade. Thanks to them, the parents of 23,000 children District 75 have a new forum to share their experiences.